Yes, you read that correctly. MEAT snack mix. Shelf stable meat snack mix. I know what you're thinking, my initial response was to wrinkle my nose a little, but I'll try anything once. Plus, I have teenagers so I was sure I could find willing taste testers. It just sounds odd, doesn't it? Still, we were excited to give it a try. Snacks are serious business around here, as I'm sure is normal for most households with busy teens. Teenagers can be bottomless pits and don't always make the healthiest of choices. Often times they just reach for the fastest, most portable option they can find. This means chips are gobbled up a lot more often than an orange is peeled. Portability and ease are two huge factors when it comes to my busy teens and what they nosh on. Healthy and portable is ideal for my family. 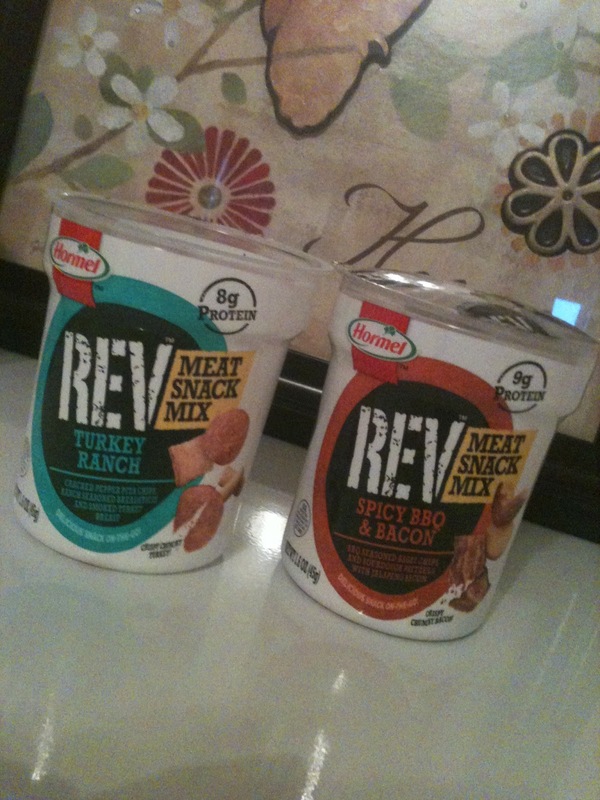 Hormel REV Meat Snacks offer a great solution to our snacking conundrum. There are five amazing flavors; Honey Mustard Bacon, Turkey Ranch, Pepperoni & Cheese, Pepperoni Pizza, and Spicy BBQ and Bacon. The Pepperoni Pizza and Spicy BBQ and Bacon were the hands down favorites with my hungry crew. The kids were excited by the flavor, how well they fit in a back pack, and insisted they were "fun". I like that the mixes are made from real meat and cheese, contain up to 12 grams of protein each, and keep the kids far more satisfied long term than something like a candy bar or other traditional quick snacks. They get three huge votes of approval from this family! Want to try some of these yummy snacks for yourself? 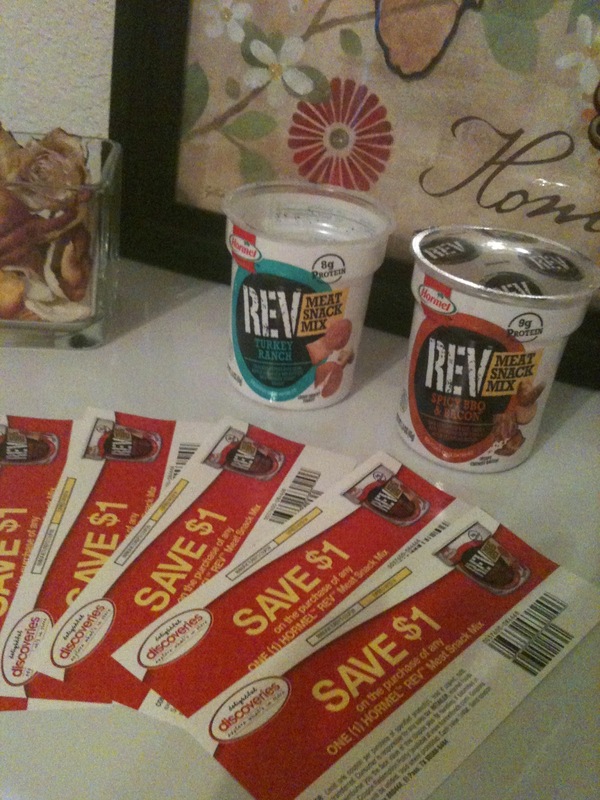 I five $1 off coupons to share with a lucky reader. Just leave me a comment letting me know which flavor sounds best to you. Be sure to leave me a way to contact you in the comment as well. Deadline to enter is midnight 03/30/2014. I'll pick a winner at random and contact them on Monday, March 31, 2014. In the spirit of full-disclosure, I've partnered with Hormel Foods as part of the Hormel REV Meat Snack Mix Program. I'll receive product and merchandise, but no payment was given or expected for posting about the program, and as always, all opinions given here are fully my own. The turkey one sounds delish! I would love to try the spicy BBQ. the honey mustard bacon sounds good to me. I would love to try the ham and cheese.